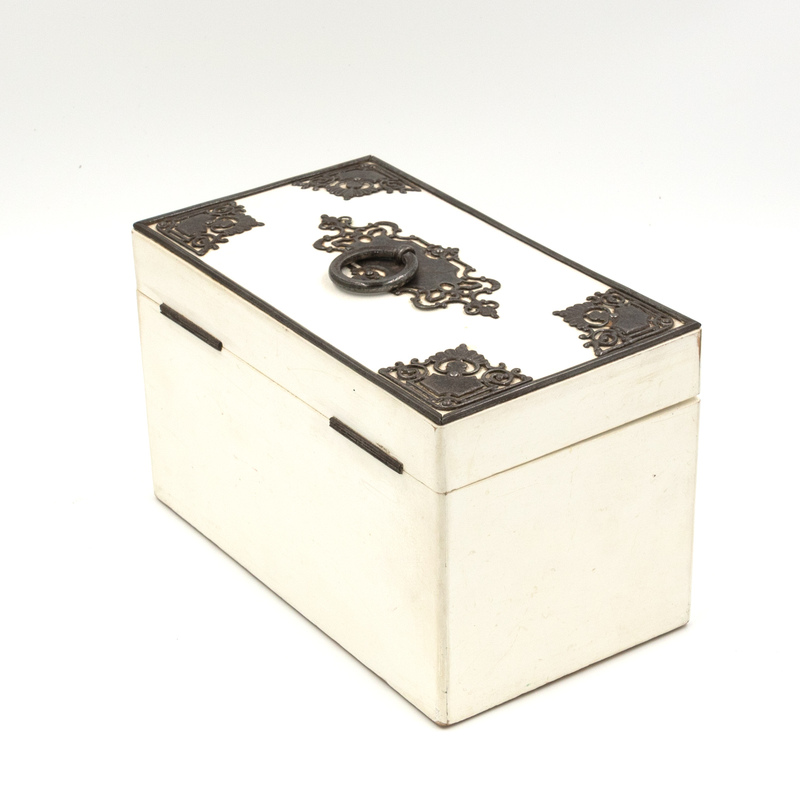 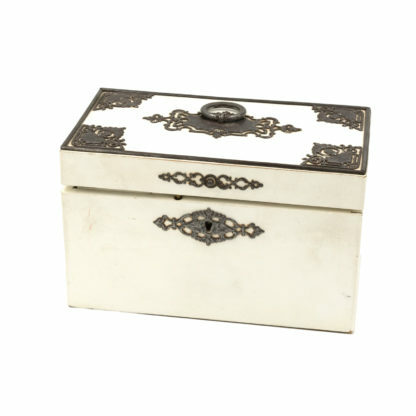 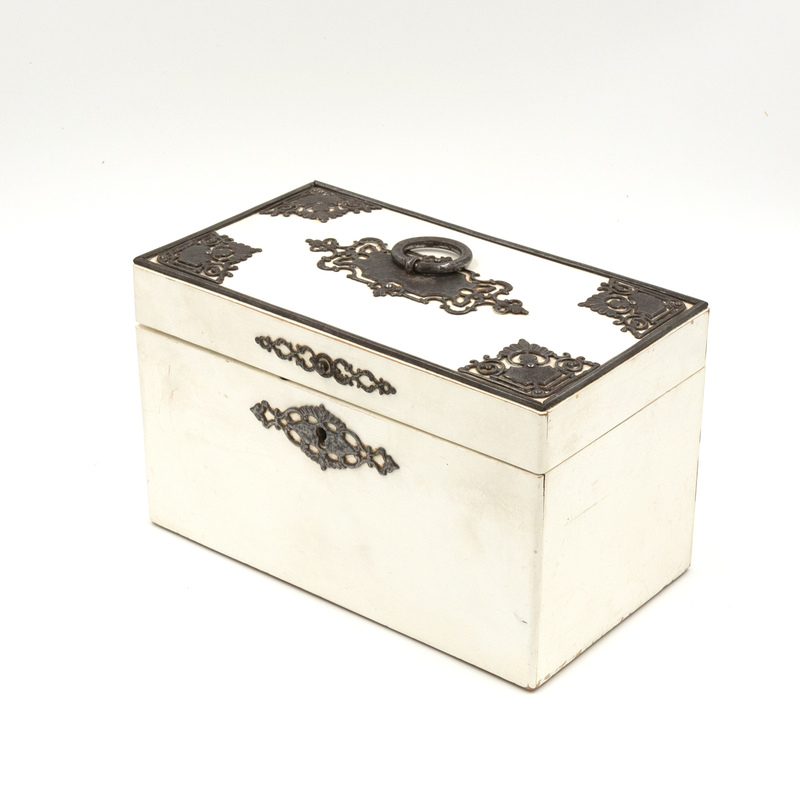 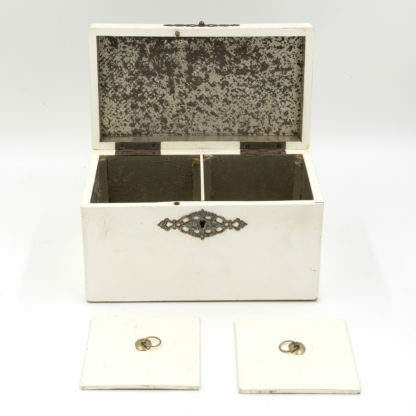 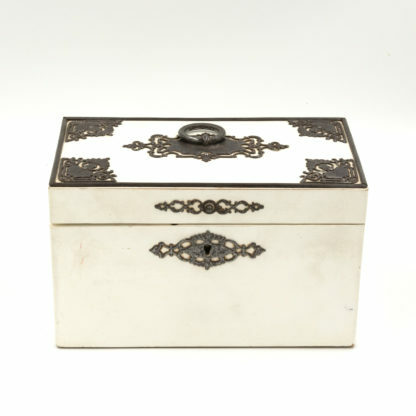 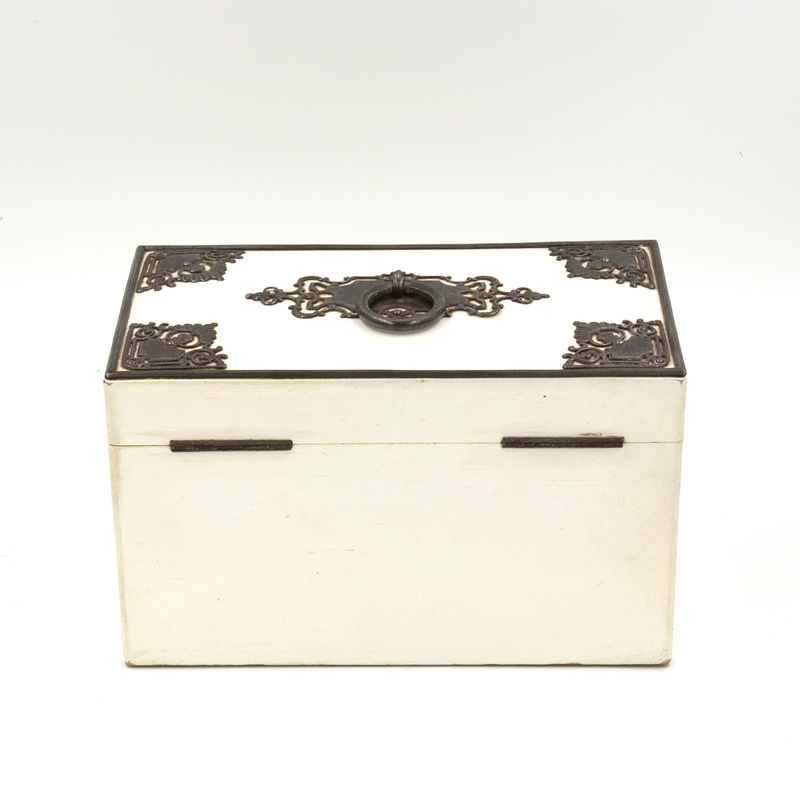 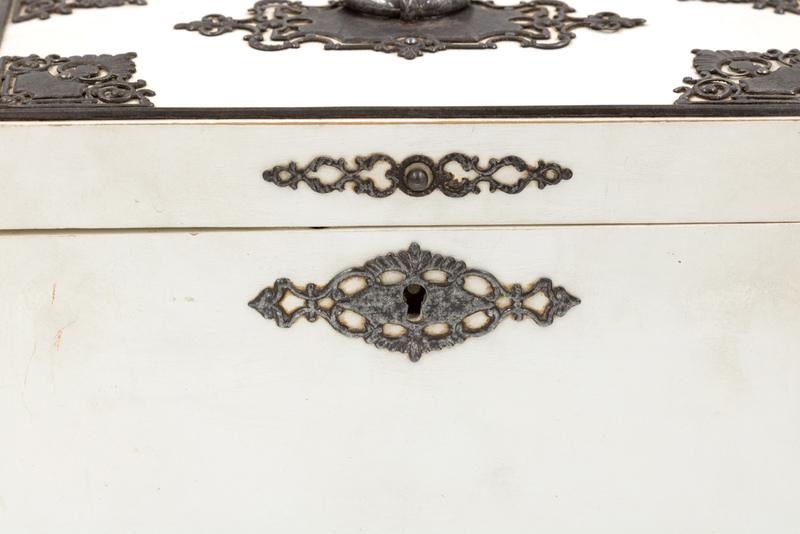 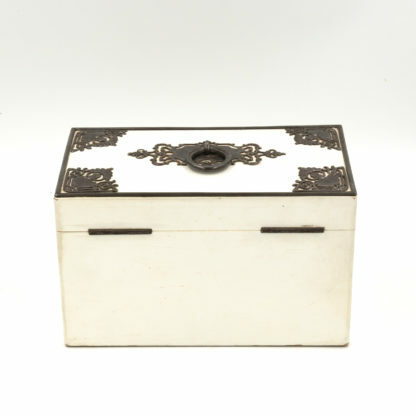 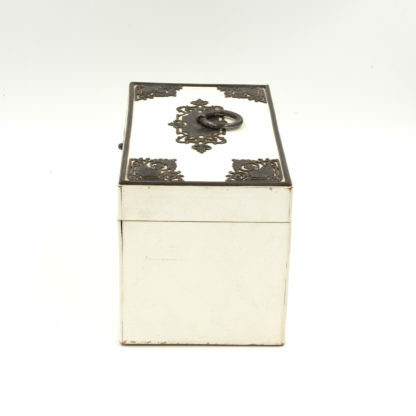 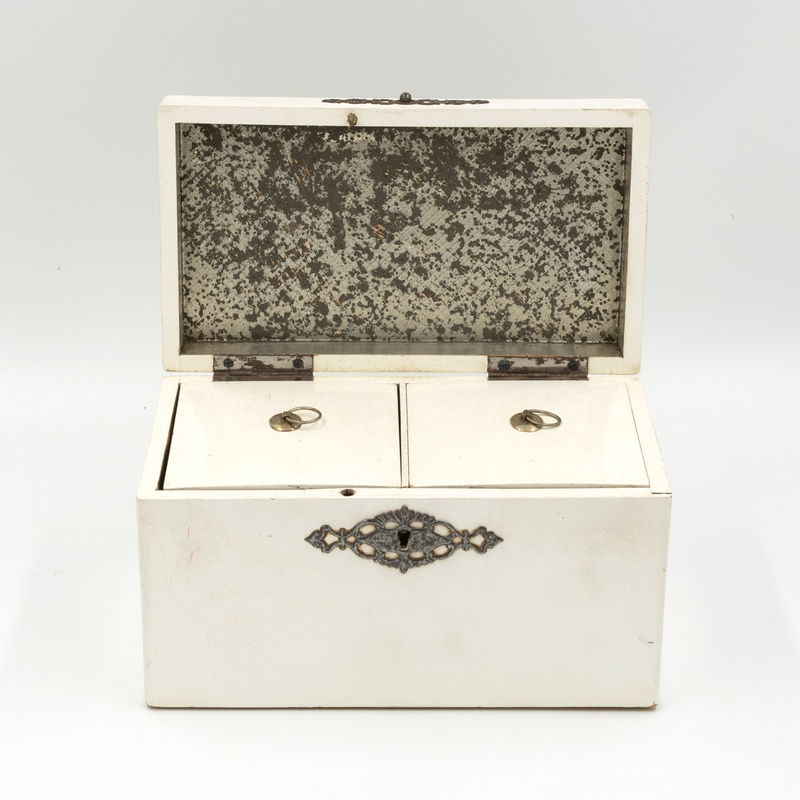 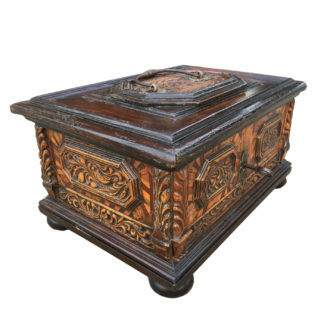 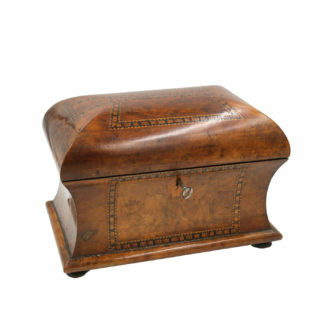 Home / Accessories / Boxes / Elegant Painted English Victorian Period Tea Caddy With Elaborate Metalwork, Circa 1890.
circa 1890, interior with two lids and remnants of original foil lining. 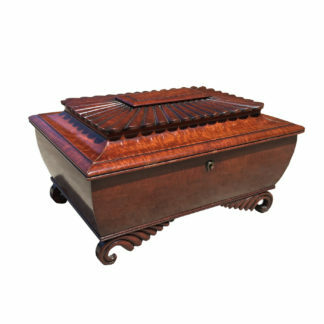 height: 6 in. 15.25 cm., width: 8 in. 20.25 cm., depth: 5 in. 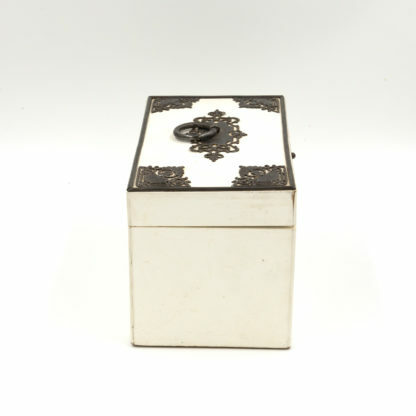 12.75 cm. 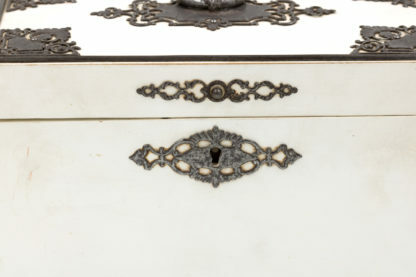 consistent with age and use; working lock and key; some discolorations and scuffs.